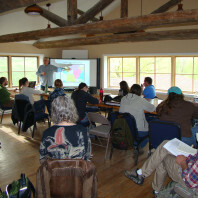 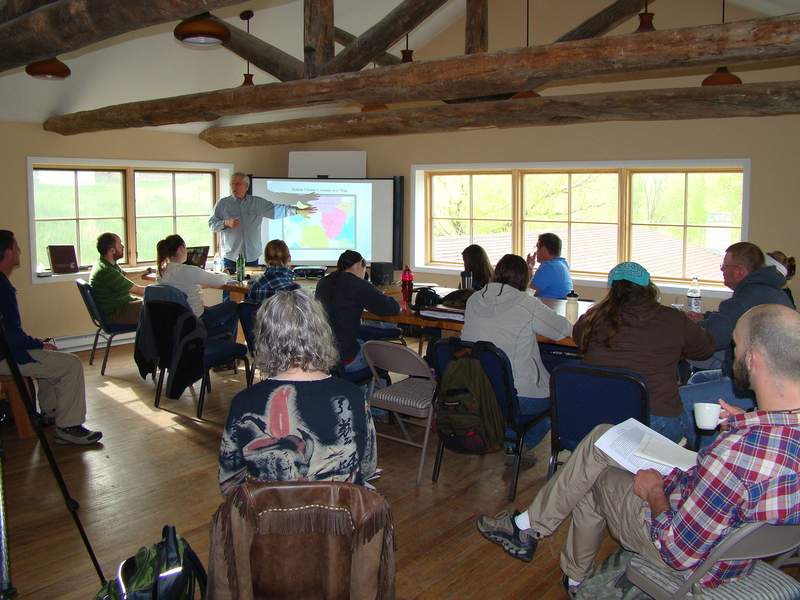 Field School 2011 instruction at the Rehearsal Hall in Virginia City, MT. 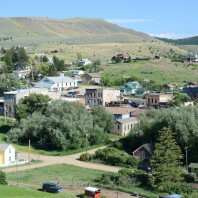 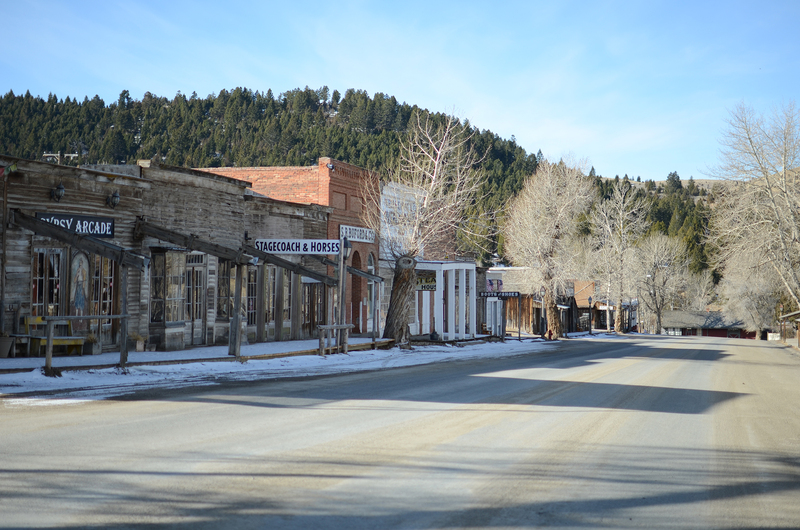 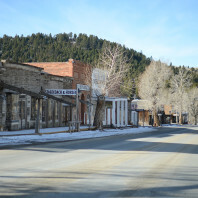 Contemporary landscape of Virginia City, MT. 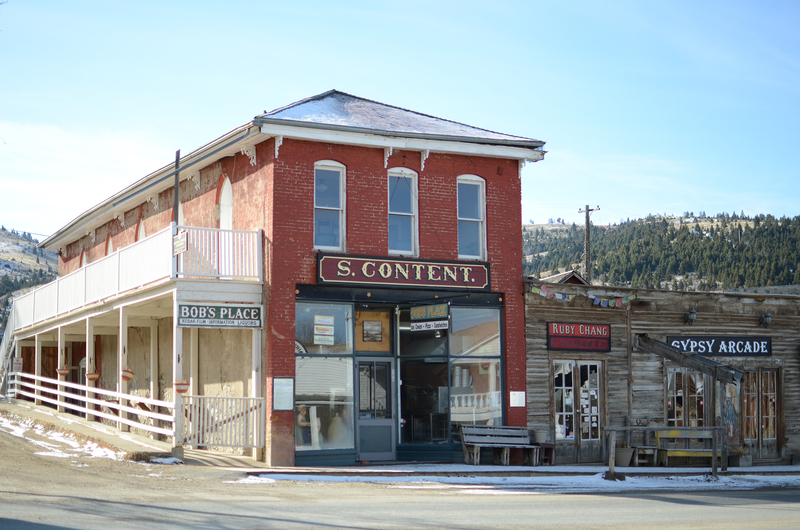 Content Building, where Chief Tendoy and several sub-chiefs signed the Cession Document, January 3, 1870 in Virginia City, MT. 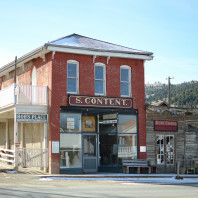 Contemporary main street, Virginia City, MT. 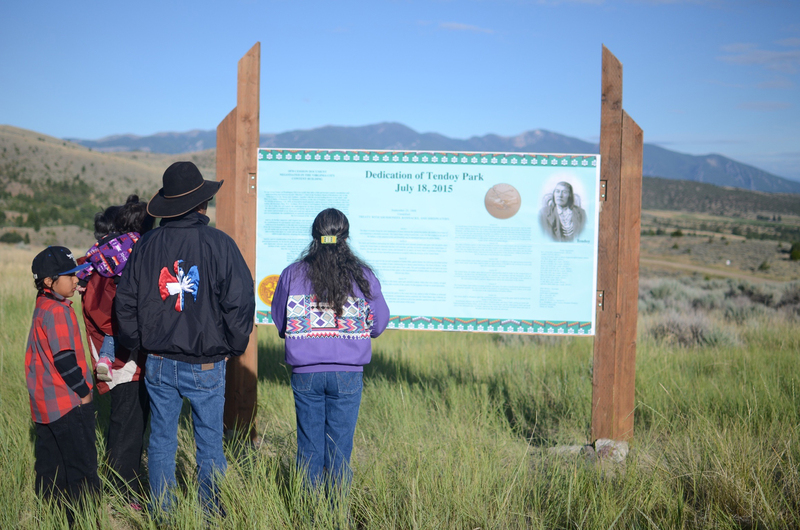 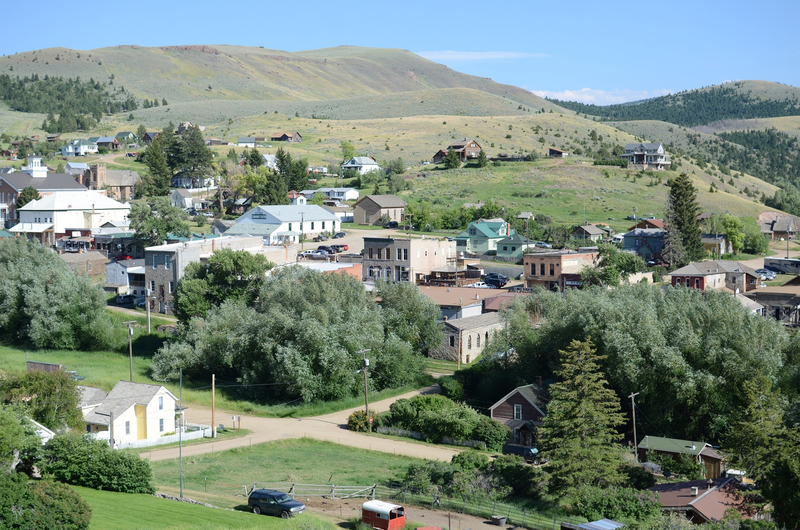 Shoshone-Bannock family overlooks Tendoy Park in Virginia City, MT. 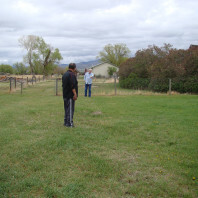 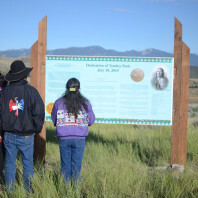 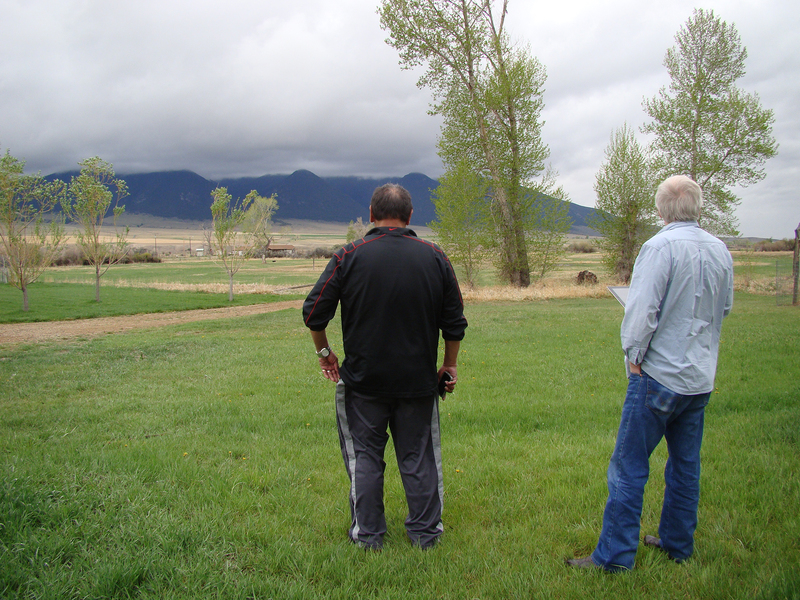 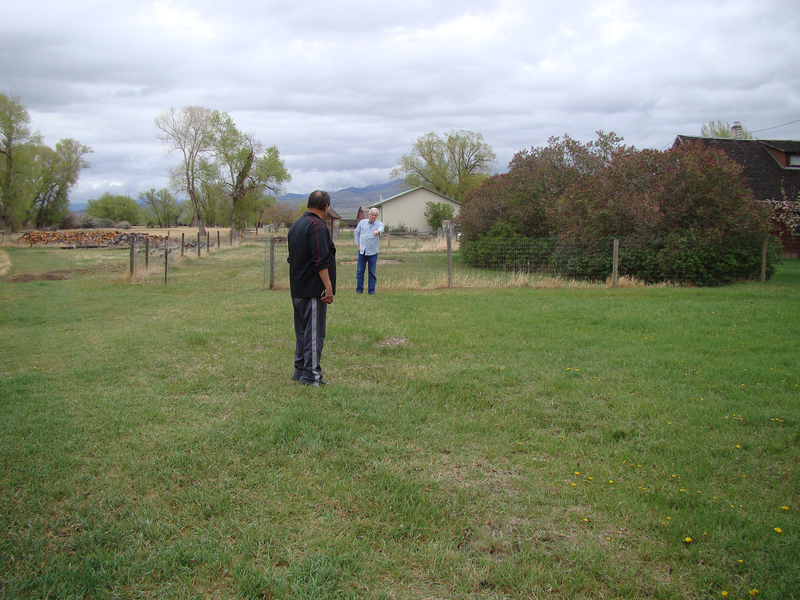 Shoshone-Bannock artist Willie Preacher surveying Laurin, MT, the site of the Virginia City Treaty of September 24, 1868. 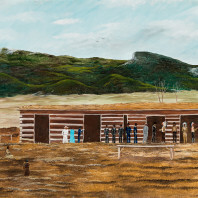 Shoshone-Bannock artist Willie Preacher’s interpretive painting of the signing of the Virginia City Treaty of September 24, 1868. 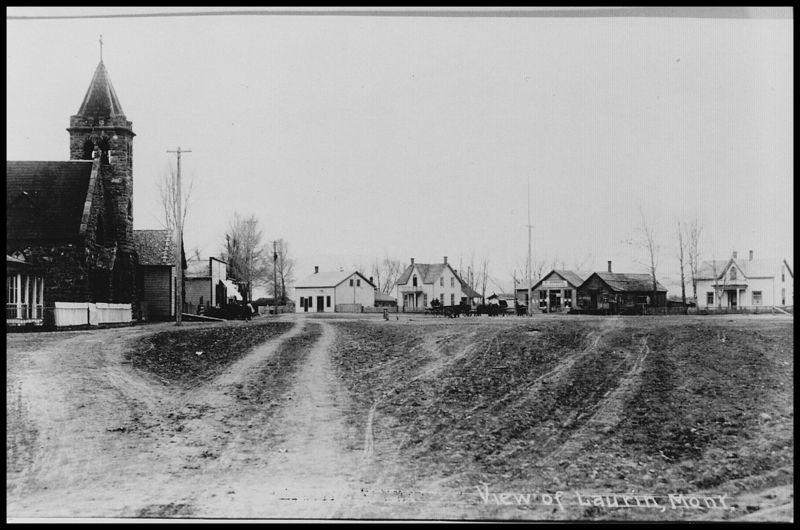 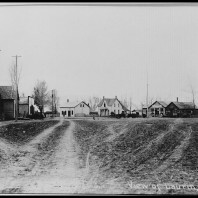 Historic photo of Laurin, MT circa 1870. 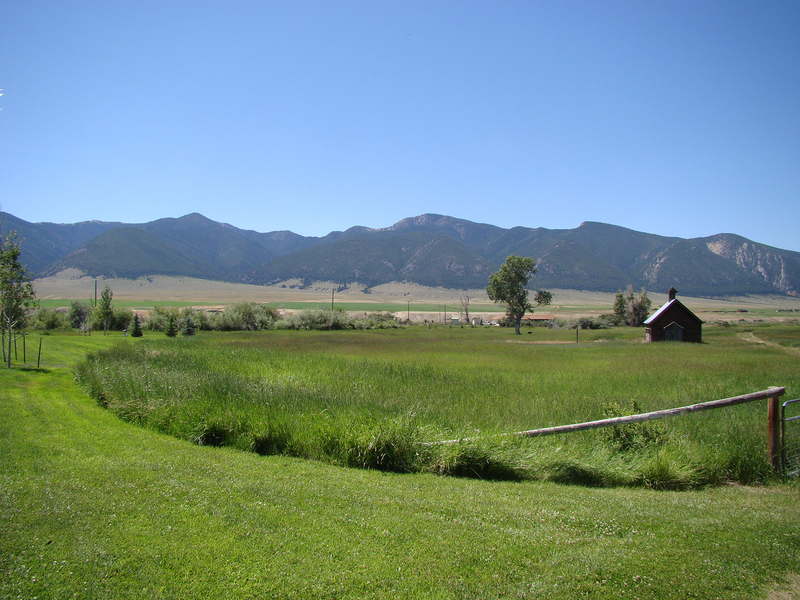 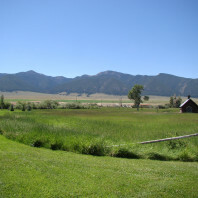 Panorama of Laurin, MT, facing the Ruby range. 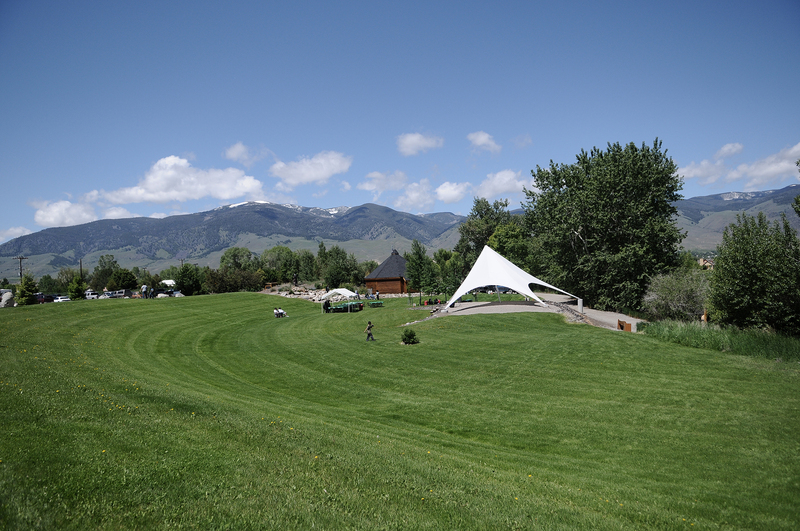 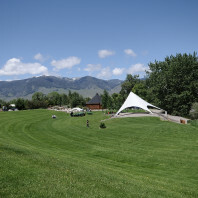 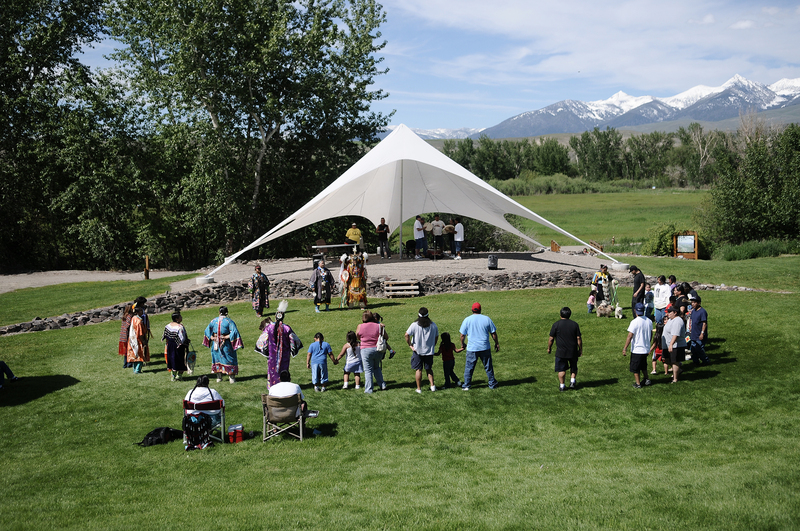 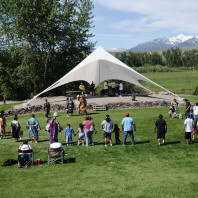 The Sacajawea Cultural Center, looking toward the Beaverhead range in Salmon, ID. 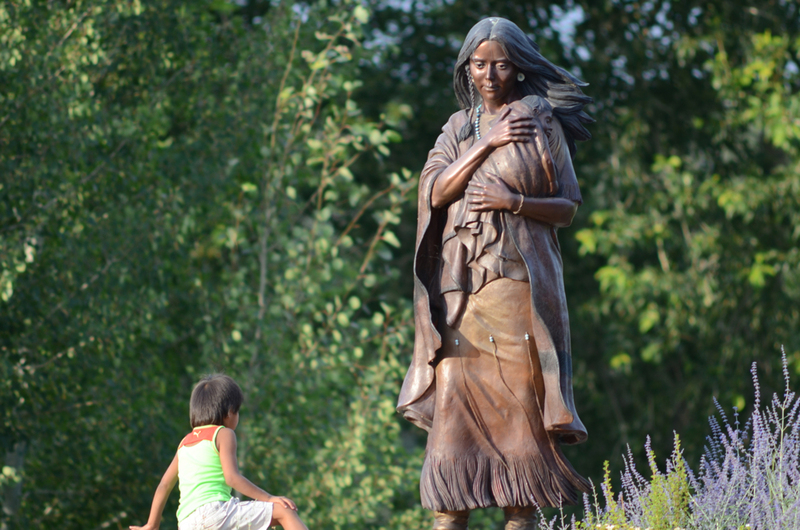 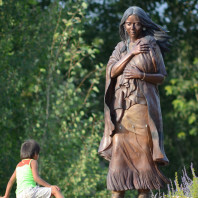 Statue of Sacajawea at the Sacajawea Cultural Center, Salmon, ID. 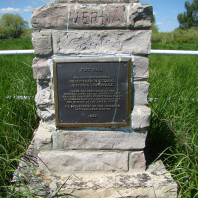 NAKA Productions film crew at the base of the Chief Tendoy Memorial, near Tendoy, ID. 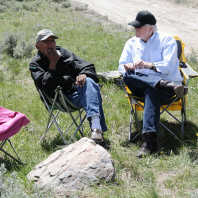 Professor Svingen speaking with Snookins Honena atop Lemhi Pass. 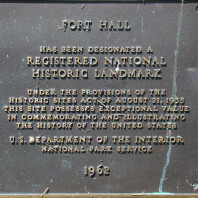 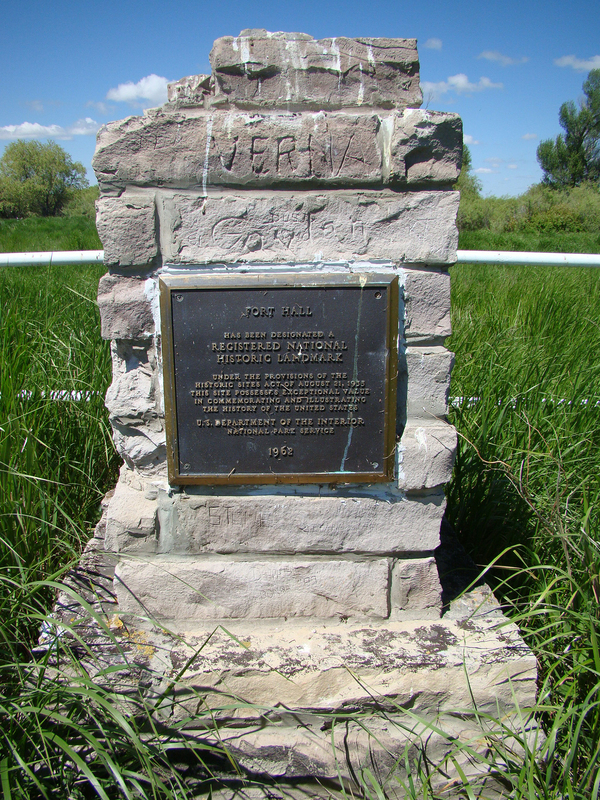 Fort Hall historic landmark located in the “bottoms” at the Fort Hall Indian Reservation. 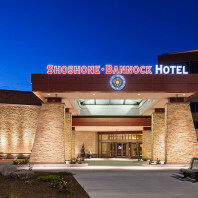 Shoshone-Bannock Hotel, the field school headquarters for week 3, Fort Hall, ID. 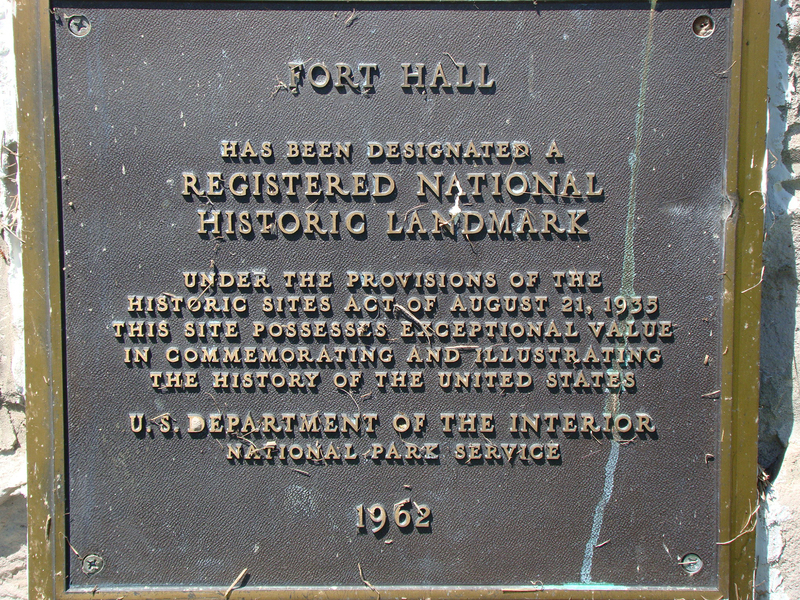 Plaque close-up at the Fort Hall historic landmark located in the “bottoms” at the Fort Hall Indian Reservation. 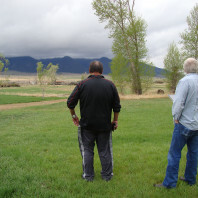 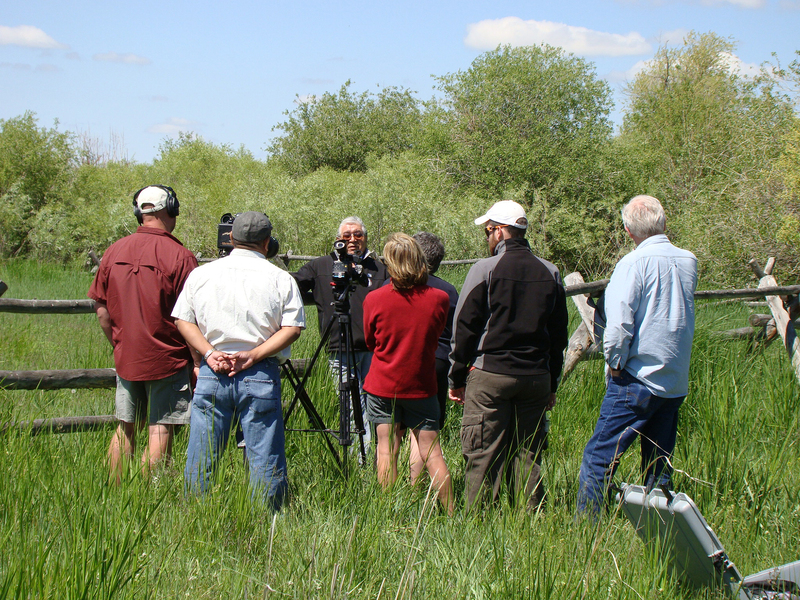 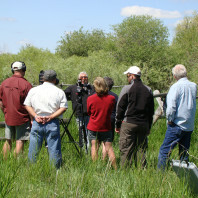 NAKA Productions film crew interview of Darrell Shay, at the “bottoms” at the Fort Hall Indian Reservation. 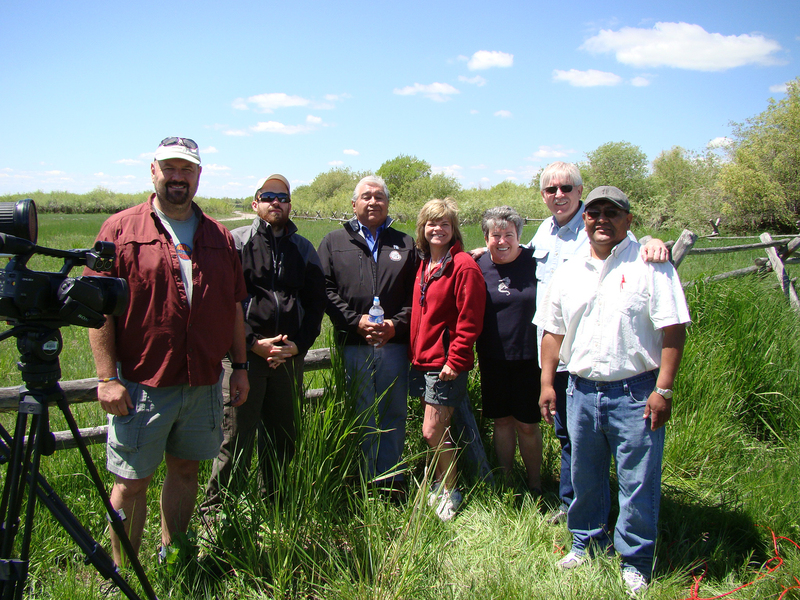 NAKA Productions film crew after the interview of Darrell Shay, at the “bottoms” at the Fort Hall Indian Reservation.